It isn’t. Gome Home truly has no merit whatsoever. While I appreciate that some thought has been put into the story, it is really incredibly bland given the opportunities the video game medium presents creators with. It would’ve worked slightly better for a movie, but rest assured it would’ve been a rather forgettable, straight-to-video one. The entire attempted strength of the story lies in the “twist,” which is not even much of a twist because the game gradually builds up to it. It is a story of teenage problems, and if we took the “twist” away, it would amount to little more than a total waste of time. To add insult to injury, there’s almost no gameplay to speak of. The screenshots illustrating the review have been taken by me. 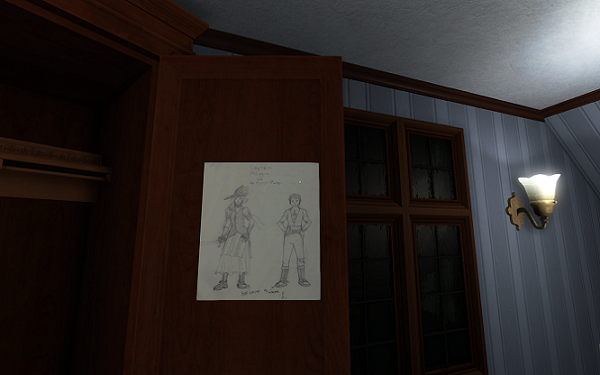 Gone Home’s plot centres on the protagonist’s sister, Sam. The protagonist, Katie, has just come home from a long Europe trip, and she shockingly finds her family’s huge mansion deserted. 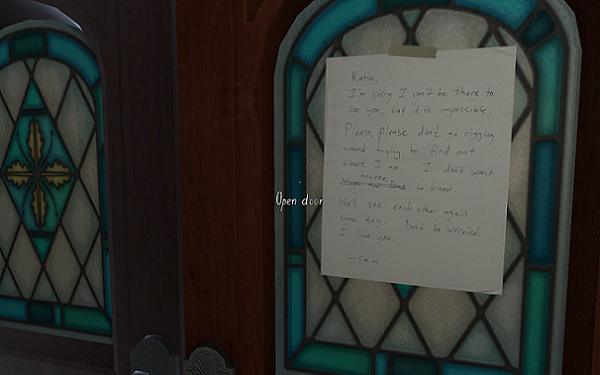 Right as the game starts, you see that there’s a worrying note from Sam on the front door of the house, urging Katie not to try to find out where Sam went, and telling her they’d see each other some day. Of course, Katie starts digging, and, by piecing together all the notes scattered throughout the huge house, she finds out what happened. In essence, “twist” aside, this is a rather regular story of a teenager who feels there is injustice towards her in society, among peers at school, and by parents. We’ve seen this countless times in other works of fiction. Setting the story in the 90s is a rather neat choice, as it’s right before computers and mobile phones completely took over, so you really need to do some digging and piece together plenty of notes to find out your sister’s fate, rather than just call the mobile operator and ask them to trace her last known location. The fact that Sam, who supposedly wants these things to stay hidden from anyone but herself, has somehow scattered hints throughout the mansion instead of just destroying the evidence, is a bit weird, but there has to be some way to achieve the goal of the game, after all. Despite supposedly being about exploration, the game does not “tell through showing” – the story is mostly contained in the notes you find that are still blocks of text you have to read (even if most are in handwriting). The other characters aside from the two sisters whose lives we learn about are the parents, and late uncle Oscar who was the one who left the family the mansion the game takes place in. 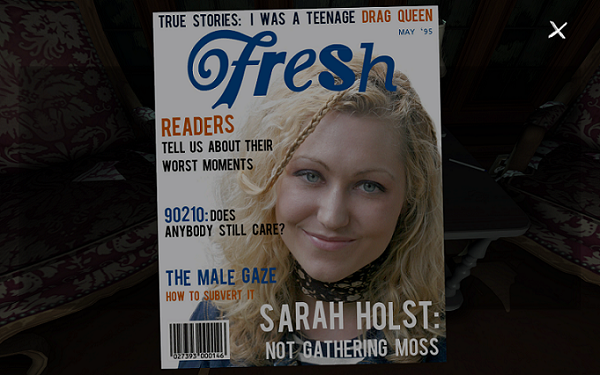 These little side stories are perhaps the strongest part of Gone Home, simply because they feel like fruits of genuine creativity as opposed to the main story for which the end justifies the means. You get to learn about Katie’s parents’ lives and struggles in their work, as well as (loosely) about their views (for example, numerous Bibles are to be found around the house). 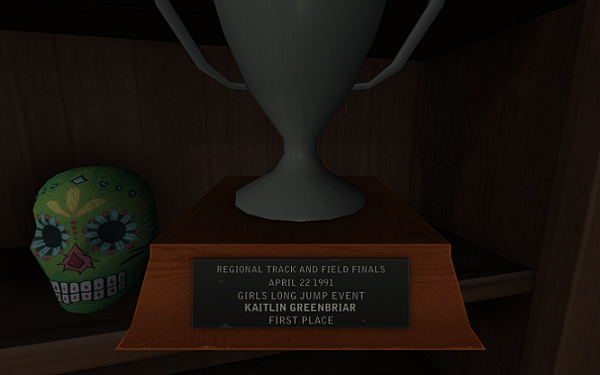 There’s not much to be learned about Katie herself, aside from her having been good at track & field. That said, Sam’s background is also interesting and creative. It does build to the big twist (the game’s main goal), but there’s also value in and of itself. Is the twist so amazing so as to justify the critical acclaim Gone Home received? Hardly. If we replaced it with the more orthodox alternative and kept everything else the same, the game would have been pretty much the same in terms of quality (i.e. poor). I suppose being unorthodox is where the game sought to stand out, but you really need to do a little bit more than that. If this unorthodoxy was combined with some true mystery, or at least engaging gameplay, it would’ve certainly worked better. As it is, it’s bland and just unorthodox for the sake of being unorthodox. I understand that certain players would probably strongly identify with the game thanks to the twist, and Gome Home surely has much more value for them solely thanks to it. But that should not automatically earn the game praise. Not to mention that sometimes the writers go out of their way to throw in buzzwords that would please their apparent target audience, but have got practically nothing to do with the story, and are clearly tacked on. A couple of examples are “patriarchy” and “male gaze”. That certainly doesn’t help Gone Home’s case, either. 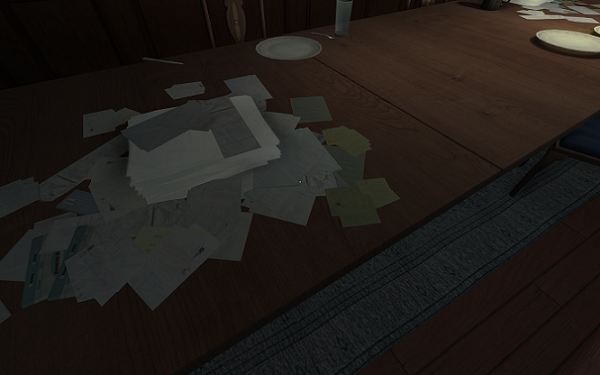 Gone Home is supposed to be an adventure game. It kind of is, I suppose, but it lacks many key elements of adventure games. Sure, you go around the house, and you have to look around carefully to find stuff that helps you piece together the story. However… That’s all there is to it! There are no puzzles! The only thing remotely challenging is that you come across a couple of combination locks, but soon enough you find notes containing their combination numbers, and you just go back and unlock them to see their contents… The only other “challenge” is that you be careful not to miss anything important than maybe hiding inside a box or even under your sister’s school backpack. Yes, that’s the kind of place where you’ll find important notes about her disappearance that she’s supposedly desperately trying to hide. Or maybe she wanted you to find out and just set up an elaborate ruse so that you don’t piece things together too quickly and she has time to move away. Joke’s on me, I guess! In the game, Katie can just walk around and crouch, she can’t run or jump, not that this is really necessary. 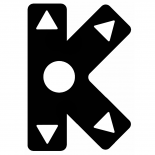 You interact with various objects throughout the game, searching for clues. Sometimes, you have to move one thing or another to reveal a clue underneath. You’ll find yourself often turning lights on as you explore the huge house, and the game even jokes with that, which was a small neat touch. There’s also a hint that the electric installation can break if you turn on too many electronic devices at the same time. I hope that’s true because that’s another, albeit lame, challenge. I myself just turned off the lights when I was leaving rooms. As I mentioned multiple times, the setting of the game, the Greenbriar family’s house, is gigantic. It’s also incredibly badly maintained – there’s stuff scattered everywhere, there are packing boxes with stuff still lying around, there are tons of sheets of paper everywhere, and most of them can’t be interacted with. I suppose this was more or less necessary in a game where you need to search through junk to find important clues about your sister, but it kind of breaks the immersion. Aside from that, the house is pretty much a normally furnished 90s house, except with a lot more rooms than usual. The music of the game is mostly trash. You find cassette tapes occasionally, and there’s always a recorder nearby so you can play them. Those are usually Sam’s tapes, and it would seem her taste in music is quite bad. She’s into loud and hopelessly talentless girl punk groups. I suppose the first such song you hear is kinda cute, but then it all quickly gets old. The one good song in the game plays on Katie’s dad’s gramophone in the music room (the old man seems to have better musical taste than his little daughter). 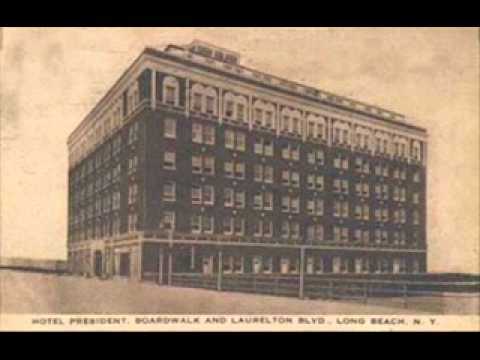 It’s a song from 1935 called “I Got a Need for You”. 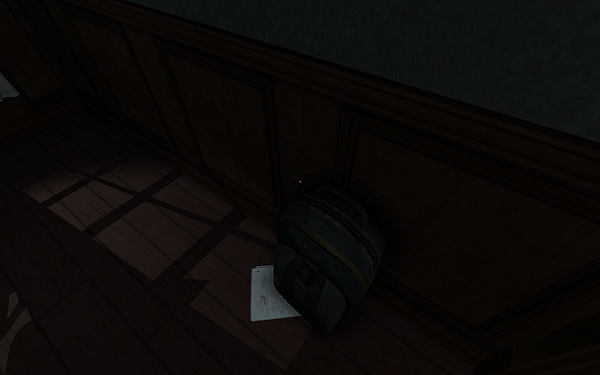 Gone Home is a failure in all aspects. I’ve reviewed other games trying hard to be “art” before, but this one is easily the worst such game I’ve played. It’s designed in a gameplay-lacking way which makes the story the only thing it possibly hopes to stand on. Sadly, while the writers did try and it shows, the story is simply cheesy and boring, with one single “twist” that is far from enough to salvage it. Given the references within, it seems the game is targeted at a small group of people, and I can’t see a reason for a gamer to love it all that much even while part of that group… Gameplay is reduced to searching for objects in a cluttered house. The soundtrack is abysmal. Aside from a few cute minor bits, there is simply nothing this game has got going for it. The asking price of $20 is probably the biggest rip-off in the history of gaming, and I wouldn’t say even the 2-3 hours the game would take on an average playthrough are a worthwhile investment.